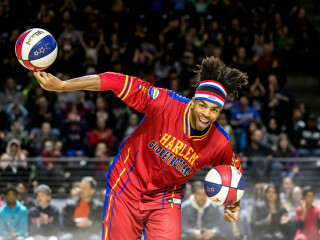 The world famous Harlem Globetrotters are bringing their unrivaled show back to Houston. As a special summertime engagement, the team will play back-to-back games. The Globetrotters’ 91-year celebration features some of the greatest athletes and entertainers on the planet. With a star-studded roster featuring Big Easy Lofton, Ant Atkinson, Hi-Lite Bruton, Thunder Law, Bull Bullard and Cheese Chisholm, plus female stars TNT Maddox, Ace Jackson, Swish Young and Hoops Green, the Globetrotters’ one-of-a-kind show is unrivaled in the world of family entertainment. Every game will showcase incredible ball handling wizardry, rim-rattling dunks, trick shots, hilarious comedy and unequaled fan interaction. After the game, Globetrotter stars will sign autographs and take photos with fans.